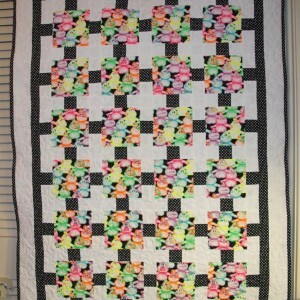 This quilt is made from snowballed squares and 9 patches. 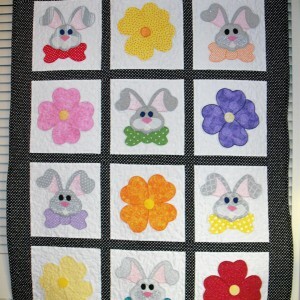 I have so many pieces of cute print fabric I thought this would help keep a child occupied during a difficult time. 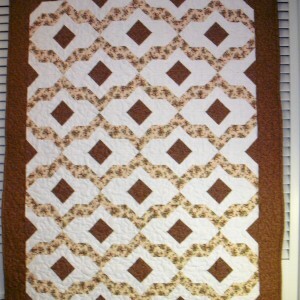 This print was donated by a family honoring their quilter mom. Hope this quit will help a child through a difficult time. 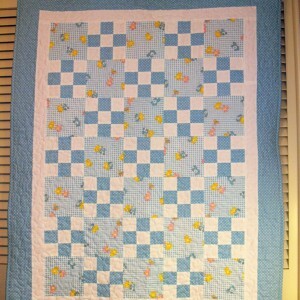 The cute Care Bear fabric was donated by a wonderful family in memory of their mom. 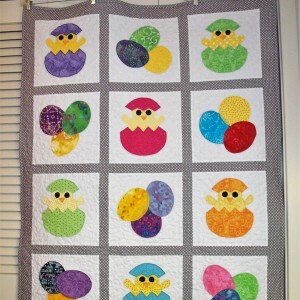 I found the blue dot print and thought this easy 9-patch and squares pattern would make a cute quilt. Hope a young one likes it! 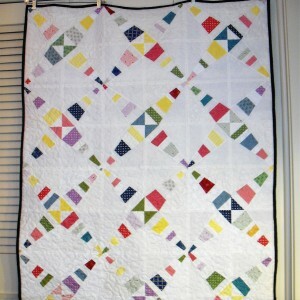 After making the scrappy starburst quilt I wanted to see what would happen if I increased the width of my star template and decreased the "dead space" between the stars. My block size is still 7.5". 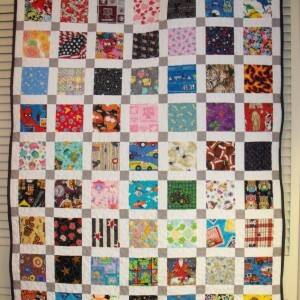 Hope a child likes it! I saw a picture of this quilt design and decided I could use my strings template to make it. I was half way through it when I discovered Jenny's Radiance Turorial. 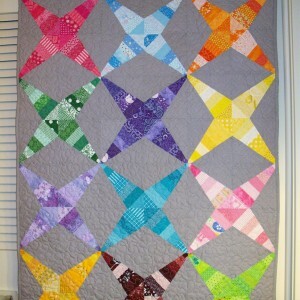 This is the same idea, however, my blocks are 7.5" instead of Jenny's 10". 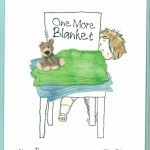 Hope it helps a child through a difficult time. 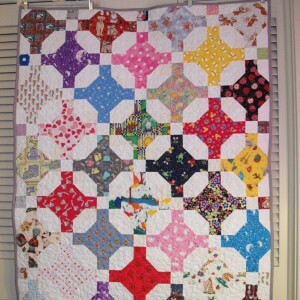 This quilt is made entirely from donated fabric. 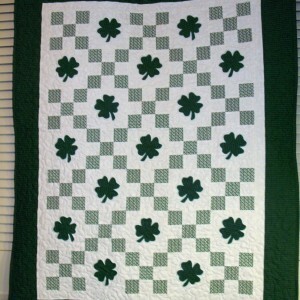 The shamrock pattern is clip art I found on the internet. Hope a child likes it. 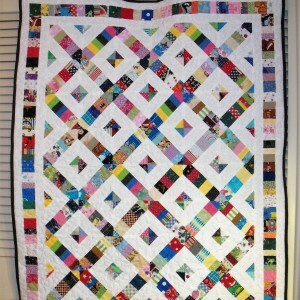 I like Jenny's Crosswalk quilt idea for using leftover strips. 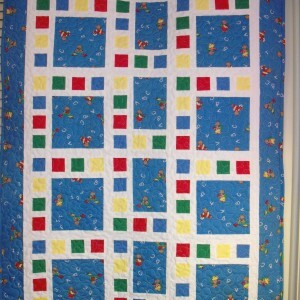 Hope a child likes this colorful quilt.